Move the decimal point two places to the left and that is my speed. 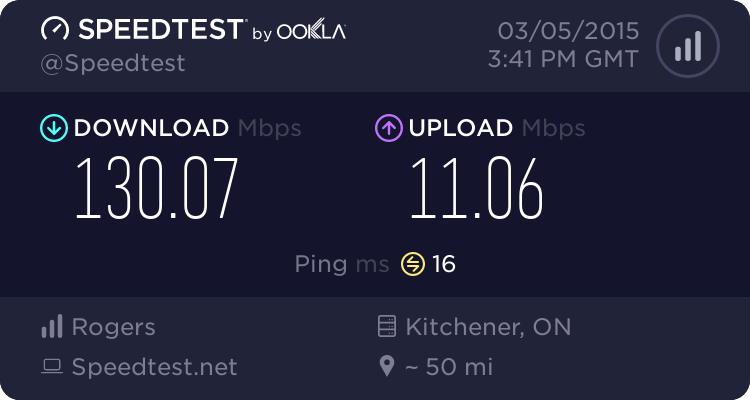 They have actually come out with a new 2.5 higher tier speed out here but it is 50% more in price. So how much is that Spid ..? I know your connection holds you back from some gaming .. So how much is the price and would the increase make some more games playable for you ..? An extra $20 a month and I would go from 1.5 to 2.5. It would likely help a bit but at the moment really not worth it. A far cry from 130.
this is about as good as it gets for me. 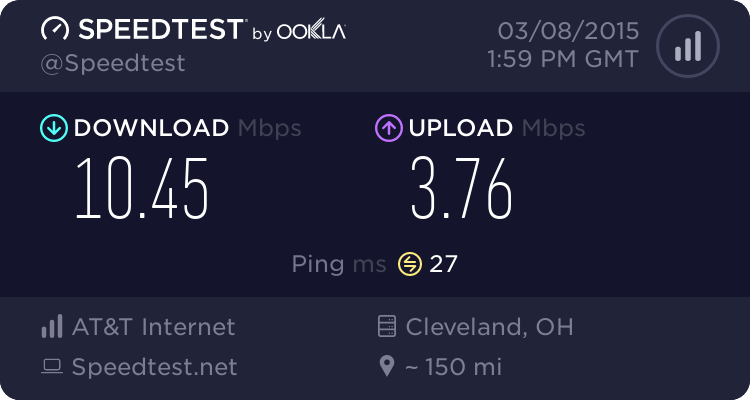 i have the highest level of speed my provider offers in my area.